With tax season just a few short months away, now is a good time to start getting your ducks in a row. One area of importance when it comes filing your taxes is deductions. E-commerce business deductions help online sellers who sell products on sites like Shopify or Amazon to offset some of the costs of doing business. Deductions are important because they help lower your tax bill. There are a lot of qualified expenses that can qualify as a deduction. Let’s look at some e-commerce business deductions for Shopify and Amazon sellers. Knowing the deductions that are applicable to your business is the first step in lowering your tax bill. There are many business expenses that can qualify as a deduction, you just have to know where to look. Here are some e-commerce business deductions that maybe you never thought of. As an e-commerce business owner, you may find yourself attending a conference or a trade-show. These events are often expensive, however because it is a business expense you can offset some of the costs as an e-commerce business tax deduction. Travel expenses associated with business are tax deductible. So if you attend a trade-show that requires you to travel, it can be deductible. This includes expenses like airfare, car rental, taxi fare, and hotel accommodation. Hey, you have to eat, even while conducting business. 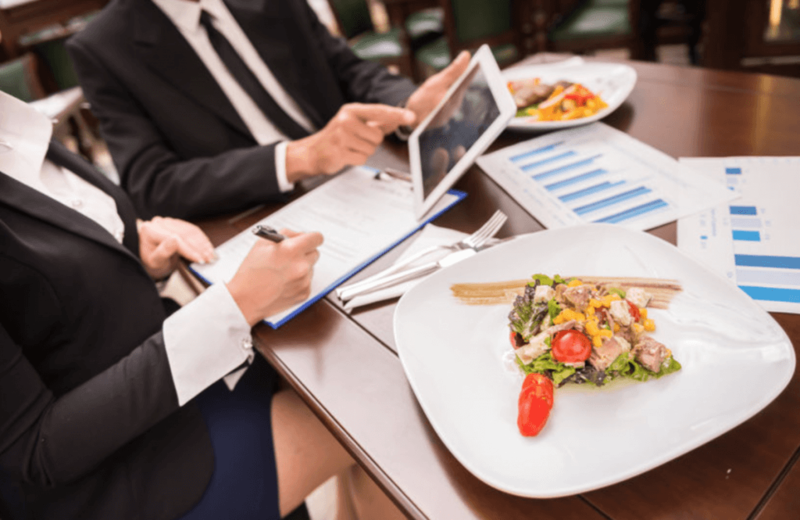 Business meals are tax deductible, so if you are meeting vendors, customers, or having meals while at a trade-show these are all qualified expenses that can be deducted. As an e-commerce business owner, you may be interested in taking a course on how to market your business. Continued education and training that is relevant to your business is deductible. If you purchased a new computer software this year, say to help with inventory management, it can be fully expensed in the year it was purchased. It must be off the shelf and available to any customer. The tax cuts and jobs act enables taxpayers to deduct the costs of purchasing new or used office furniture and equipment. This is great news if you are expanding. Paper, stables, pens, post its, folders, paper clips, you name it. 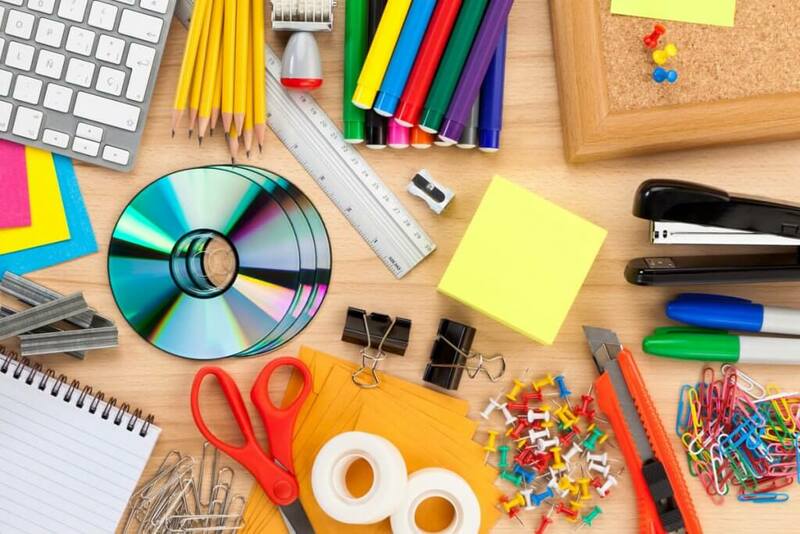 Many businesses might not give much thought to their office supplies, but the costs can really add up over the course of a year, and every little deduction helps! If you work from home and file a schedule C, you are entitled to take the home office expense. This means you can deduct a certain percentage of your home office expenses including a portion of your rent, insurance, and utilities. The space must be a designated work space devoted to your e-commerce business and nothing else. If you have a dedicated line for your business this cost is deductible. However, since most people don’t have a landline anymore, and most people use their cell phones, the percentage of their business use can be deducted. Perhaps you belong to the Chamber of Commerce, or are in a BNI group. Membership dues you pay to a professional organization qualify as a deductible expense. This also includes your upgraded LinkedIn Pro profile. The costs you incur from preparing and filing your taxes is tax deductible. This includes any professional fees or costs from purchases how to books or tax software. Some e-commerce business tax deductions that are really common include: merchant processing fees, marketing expenses, shipping fees, website development, and web hosting fees. In addition, as a self employed individual you are required to pay self employment tax, which is comprised of ssn and medicare. Unfortunately you are required to pay both your share and the employer share. The silver lining is that the IRS allows you to deduct half of your contribution. Lastly, funding your retirement accounts offers more than just stability for your future, but a tax deductions as well. An accounting and tax professional can help maximize savings throughout the year. Having a trained professional assist with inventory management, which can make a huge difference. Tax planning is a huge part of increasing your profits throughout the year. A tax professional can help create a customized strategy that makes since for your business. Learn more about e-commerce business tax deductions by signing up for our newsletter here. Are You Maximizing Your Deductions?